Home Doctors Stop Dreaming of Success!! All of the hype about the movie The Secret, and many other copy-cat philosophies had us believing in the fact that you can think something into existence. The idea that if you think about a Ferrari long enough, that it would suddenly show up in your driveway. However, more and more people have come to believe that the opposite is now true- i.e., that if you dream of success, but you don’t immediately begin seeing the fruits of those dreams, you actually will become de-motivated and in worst case, depressed. There is growing evidence that some forms of visualization actually have a negative effect. For example, you can visualize and also do daily affirmations that you will lose 20 pounds, but if it doesn’t begin to happen, you may begin to have the opposite affect and gain weight. I am one of these people. I have found, personally, that if I don’t accompany the goals I set with forward-moving actions and accountability, these techniques and mantras will almost always have less of an effect on my results..
You see, having visualizations without an implementation plan is like having a vacation without a destination. You’ll go nowhere. Without accountability, plans and daily actions are fruitless. This is why many people lose motivation after doing affirmations for a period of time. If you want something, then you have to work at it for days, weeks, months, and sometimes years to begin to see meaningful results. It breaks my heart with some people inside the Business Finishing School program, who work at it for a few months, and then life gets in the way. Why is life getting in the way? Why do we allow so many forms of distraction to get in the way of accomplishing our dreams? The road to success is always under construction. Don’t tell people your plans; show them your results. 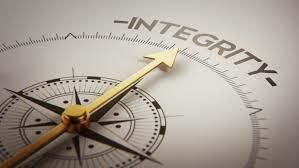 I often tell my four children that integrity is defined as those things that you do when no one is looking. The things you may do that no one will ever find out about. I tell them that when they are lazy – and don’t take action to move forward – the only person that will pay the price is they themselves. Get off the hype train and get into action. Stop chasing blinky, shiny objects. Allow yourself to take small, actionable steps every day, in order to chip away at your goals. If you want it, work for it. It’s that simple. Running a marathon is putting one foot in front of another for 26 miles. Your objectives are no different. Get started today on this new way of being. Invest in yourself. Trust me- you can afford it. 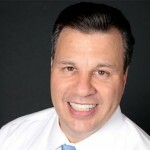 Rick Sapio has been involved in more than 100 companies, as either a founder, investor, owner, or operator, over the past 30 years. Rick has realized that by using a principle-centered business approach, one can radically increase the success of virtually any business. For the past 22 years, he has been CEO of a financial services/healthcare holding company. Go to www.BusinessFinishingSchool.com to learn more about his 12 Foundational Principles of Business.